Over the holidays, you or your family members probably used a good bit of sugar in the baking of holiday treats, such as cakes, pies and cookies to name a few. Sugar isn’t just used in baking – it’s also used at an industrial level to produce bio-materials. BASF is working with Renmatix to make industrial sugar, from materials such as wood and straw, more cost-effective on a commercial scale. Where is it used, you might wonder? Think chemicals and intermediates. 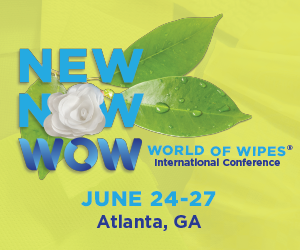 Bio-materials are sustainable and eco-friendly, so if you’re in the market for alternative raw materials you could see what they have to offer you and your nonwoven fabrics and, potentially, your sustainability goals.